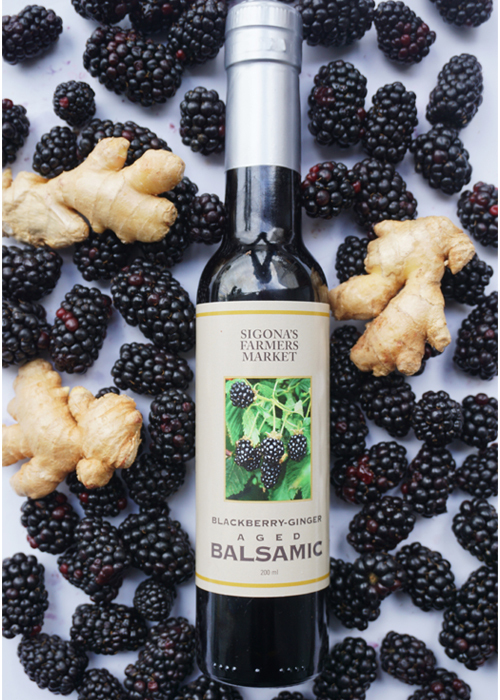 This complex, aged blackberry-ginger balsamic is naturally flavored with the gentle heat of spicy ginger and kissed with ripe, sweet blackberries. Together, these flavors work especially well over pancakes, ice cream or in jelly or vinaigrettes. Pair it with our Roasted French Walnut Olive Oil or Picual Olive Oil for an out-of-this-world combination.